Since 1980, we’ve provided an exceptional selection of septic tank services to our valued clients in the Ocoee area. Your septic tank is one of the most important parts of your septic system. Here, wastewater is divided into three different layers before the effluent is released into the drain field. 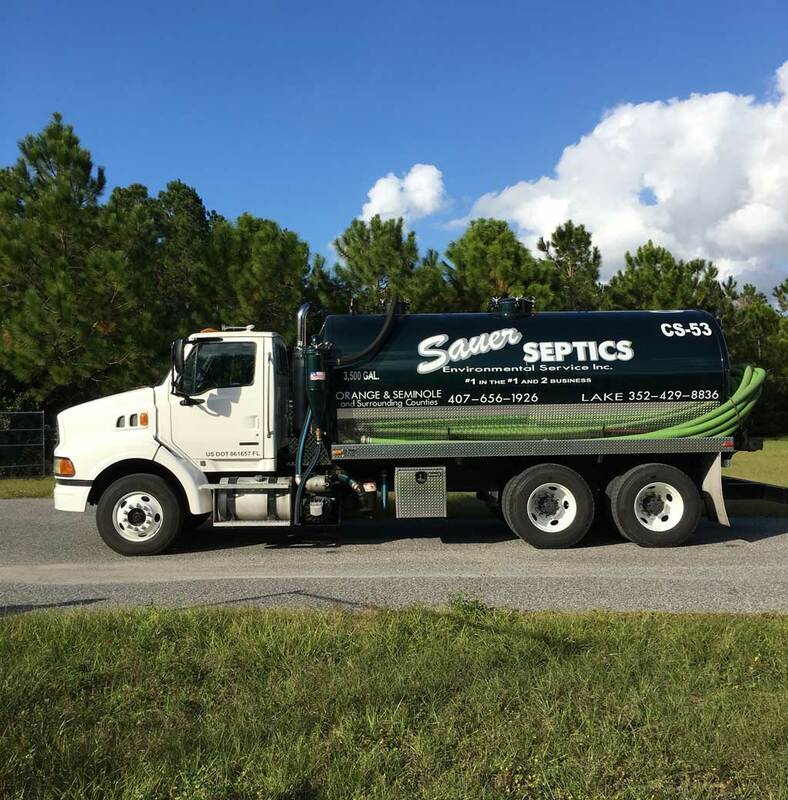 If your septic tank isn’t functioning like it should, you want to be sure you’re maintaining your tank properly, or you simply have questions about this essential septic component, at Sauer Septic, we’re the only ones you need to call. Since 1980, we’ve provided an exceptional selection of septic tank services to our valued clients in the Ocoee, Florida area. Some of these services include septic tank installations, septic tank repairs, septic tank pumping, and many, many more. No job is too large or too small for our team to handle, so please don’t hesitate to reach out if you need help. Not only are our septic tank services complemented by extensive industry experience, but they’re also accompanied by exceptional customer service. We put our customers first no matter what, so when you have us come and service your septic tank, you can rest easy knowing we’ll do everything in our power to do the job right. Along the way, feel free to reach out to us if you have questions, comments, or concerns. At Sauer Septic, we’re here to help you keep your septic system running efficiently and effectively at all times. Contact us today to find out more about our septic services and why you should make us your septic partner!